Ronald G. Kuyers, age 77, of Holland, passed away, Sunday, July 29, 2018, following a lengthy illness. Ron was born in Holland and was adopted at the age of 4, by Paul and Effie Kuyers. He graduated from Holland High School in 1958 where he played football and baseball. Following high school, Ron played on the American Legion baseball team in Holland. Ron attended Grand Rapids Junior College where he received his journeyman’s degree in model making. He was employed by Herman Miller until his retirement in 2001. 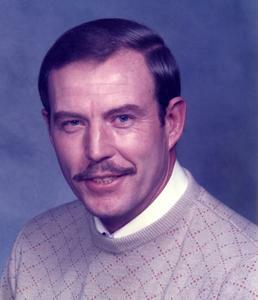 Ron enjoyed hunting, fishing, gardening, and woodworking. Ron is survived by his wife, Rose; children, Kathy and Phil Ouellette (Sarah), Cody and Joseph Boystak (Elizabeth and William), Lisa and Ken Turk, and Michael and Liz Kuyers (Brooke); 3 great grandchildren, Eleze, Karmyne, and Aaron; brothers and sisters, Wes Kuyers, Ida Van Sweden, Betty Douma, Larry and Gret Bruursema, Arlene and Will Kloosterman, Sherry and Marv De Went and Bonnie and Norm Vredeveld; sisters-in-laws, Marilyn and Ed Bredeweg, Joyce and Arlie Barrett, and Marjory and Harv Wuerfel, brother-in-law; Jack Aussicker; several nephews, nieces, and cousins. Memorial visitation will be 2-4 pm, Sunday, September 9 at the Dykstra Funeral Home-Northwood Chapel, 295 Douglas Avenue.